If you are adaptable, have strong communication and analytical skills, a career in the field of accounting can be ideal for you. Of course you also need strong math and analytical skills to be successful in this line of work. With the Bureau of Labor Statistics reporting faster than average expected employment growth between 2012 and 2022, becoming an accountant may possibly help you pursue a rewarding and a challenging career. What are the Job Responsibilities of Accountants? No matter what your passions are, opting for a career in accountancy means you can follow your dreams as these professionals work in almost every industry, including the one you may be interested in. Working as an accountant can be both challenging and rewarding. An advantage with this profession can be that professionals can find themselves working in a variety of industries that may range from technology to farming equipment manufacturers. Do You Need Licenses and Certifications? According to the Bureau of Labor Statistics, accountants who file a report with the Securities and Exchange Commission must be certified as CPA (Certified Public Accountant). Getting the CPA credential can also be useful for those who want to improve their career prospects. To become a CPA, you need to pass an exam and meet other state requirements such as 150 semester hours of college coursework. You will also be required to take part in continuing education in order to maintain your license. What Skills Accountants Must Have? Accountants must have analytical skills so that they may identify issues in documentation and suggest solutions. Communication skills are also extremely important for these professionals as they need to listen to their clients. Many employers favor computer proficiency so having IT skills can also prove to be beneficial. 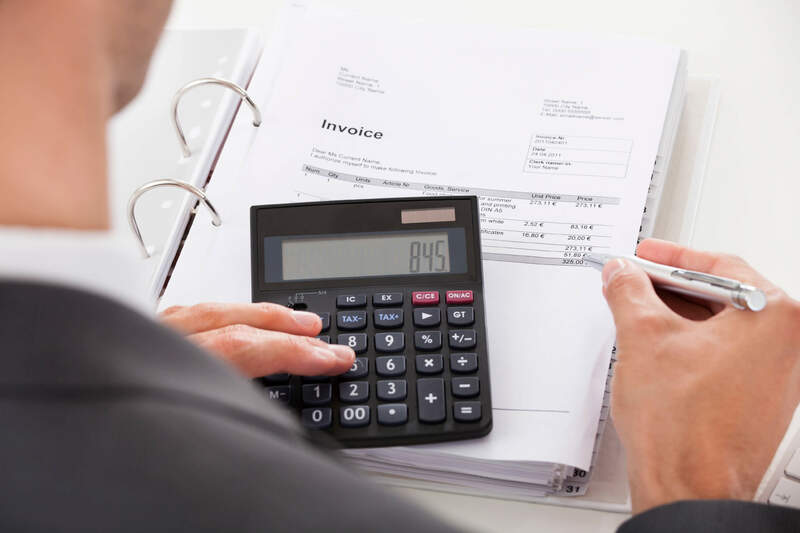 Accountants must also be organized as they often work with a range of financial documents for a variety of clients. Good math skills are also essential. Accountants must be able to analyze, compare, and interpret facts and figures. According to the Bureau of Labor Statistics, employment of accountants is expected to grow by 13% from 2012 to 2022. This is about as fast as the average for all occupations. Corporate scandals and recent financial crisis are some of the factors that have brought about an increased focus on accounting practices. Besides, stricter laws and regulations will also likely to increase the demand for accounting services. Globalization of business is another driver for the increased demand for accountants. The Bureau of Labor Statistics reported that in 2012, the median annual wage for accountants was $63,550. Those who worked in finance and insurance earned $66,530 while accounting professionals in government made $61,490 in the year 2012. What Would Be The Work Schedule? Most accountants work full time while there are few who work more than 40 hours a week. You may have to work long hours during tax season or at the end of the year. Accounting degrees are often paired with law, marketing or advertising degrees as a means of specialization. You may move to positions in banking operations, budgeting offices, management consulting, the FBI or full-service brokerage firms. Accountants can also be entrepreneurs and using their expertise to start and manage a company acting as the financial officer. When you seek employment you must remember that one of the most important things employers seek in fresh accountants is a positive attitude. Besides, you will be selected on the basis of your technical knowledge, your specialization and your industry focus. But all these factors become secondary only if you are able to walk into a meeting and on to a new project team, and be prepared to contribute in any way possible. How to Become an Accountant in Texas? To become an Accountant in Texas, you need a Bachelor’s degree having completed at least 150 semester hours to be eligible for the Uniform CPA Examination. These should include at least 30 hours of accounting courses. You can then take the Uniform CPA Examination conducted by the Texas State Board of Public Accountancy. Once you pass this exam, you must complete a 4-hour ethics course to obtain your certification. You can then find a job in the field of accounting. How to Become an Accountant in California? To become an Accountant in California, you need at least a Bachelor’s degree with 150 semester hours completed. These include at least 24 hours of accounting courses and 24 hours of business administration courses. You can then undertake the Uniform CPA Examination to be conducted by the California Board of Accountancy (CBA). After passing this exam, you need to gain necessary work experience. This includes general accounting experience of 12 months. You are now eligible for the California CPA license. Should I become an accountant? how long does it take to become an accountant? Q:After becoming an accountant, in what kind of industries can I work in? Q:Can you tell me what subjects I need to study to become an accountant? A:To become an accountant, you must enroll in an accounting degree. The coursework may vary from college to college, but will generally cover subjects such as the following: cost accounting, federal income taxation, accounting information systems, accounting theory and applications, financial accounting, managerial accounting, regulation, ethical issues in business and accounting, advanced managerial/cost accounting, and more. Q:Should I become an accountant? Q:What are the requirements to become a accountant? Q:how long does it take to become an accountant? A:The time it will take to complete an accounting degree depends upon your level of dedication. If you want to go for an associate degree, you will need 2 years of time. A bachelor's degree would take approximately four years to complete whereas a masters degree or an MBA would typically require one or two years. Post graduate degrees can take up to 6 to 7 years to complete.